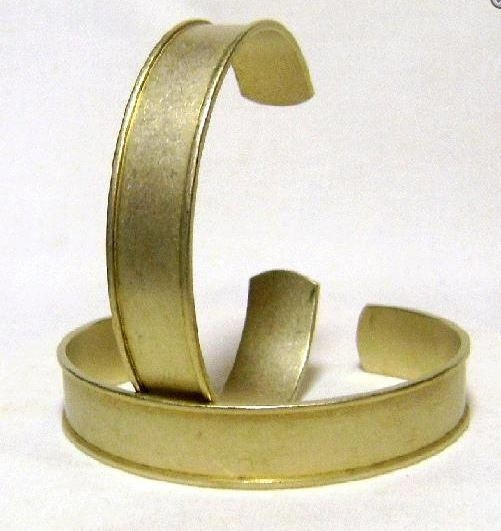 Brass channel cuff bracelet blank, 1" x 6"
► The channel is aprox. 1/8" deep and 23mm wide. Perfect for adding a row of beadwork, rhinestones, inlay with carved leather, copper patina sheet or fabric......lots of possibilities!